Cheap Windows Web Hosting Plans, Best Windows Shared Hosting with Plesk in India. Unlimited - Disk Space, Websites, Databases and Email accounts. Plesk is a web hosting control panel to manage your website on windows server. Latest version of Plesk Onyx provides an easy way to manage your hosting account. On our windows server we provides Plesk panel to manage your account with many other features like latest version of IIS, SQL server and more. A firewall provides network security and protects from harmful access and other requests. Firewall monitors traffic according to set of rules and decide to block or allow the traffic. Latest and updated Antivirus installed on our server. It makes our server safe and keeps away from Virus, DDoS Attacks.
. NET is a framework which is specially designed to run on Windows server. It is free and open source platform. Our server supports for Asp.net 4.5.1 version. For my .net website which is the best hosting plan? 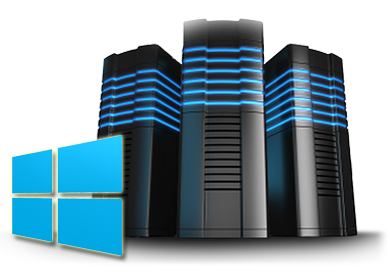 You have to go with our windows hosting plan for .net websites. In which hosting plan I can get MSSQL database? We provide MSSQl database in our windows and upper hosting plans. What is IIS application pool? IIS Application pool crashes when your application overuse the resources (Memory, CPU, Virtual Memory, Entry processes, etc.) allotted to your domains. IIS Application pool also crashes due to application error. Can I transfer my hosting account from windows hosting to Linux hosting? Yes, you can transfer your account and we do not charge anything for that. Is it necessary to be a technical person to use web hosting? It's not compulsory. The designed control panel are so user friendly that anyone can manage it easily. Is windows server support PHP? Yes. But we always recommend to host a PHP based website on Linux server as some Apache modules are not supported on Windows server.